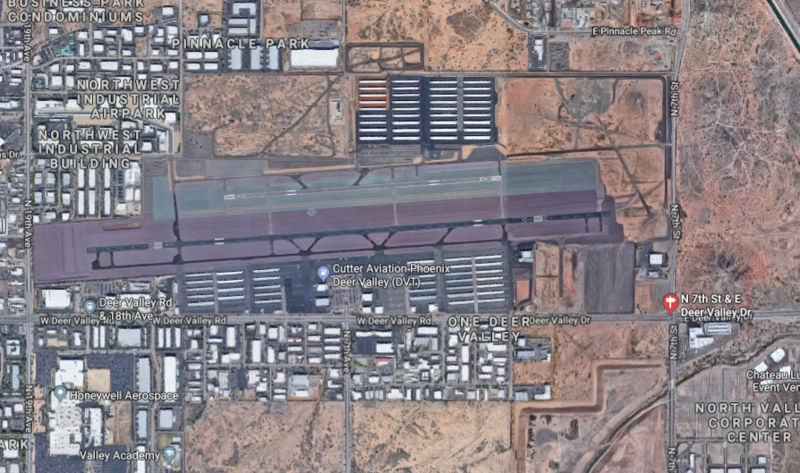 UPDATED 5:45 p.m. — Two people died in an early morning small-plane crash on a Phoenix street about 1,500 feet from the Deer Valley Airport runway. Both were adults aboard the plane. Phoenix Police reported the crash led to a closure on 7th Street and Deer Valley Road shortly after 7 a.m. In TV chopper videos, emergency personnel could be seen extracting a person from the aircraft. At least one car was damaged in the crash. The plane ended up on 7th street just a few feet from the intersection. In a dashcam video, the plan was seen plunging down. The site of the crash was about 1,500 feet from the east end of the airport’s runway. The cause has not been announced as of this writing. 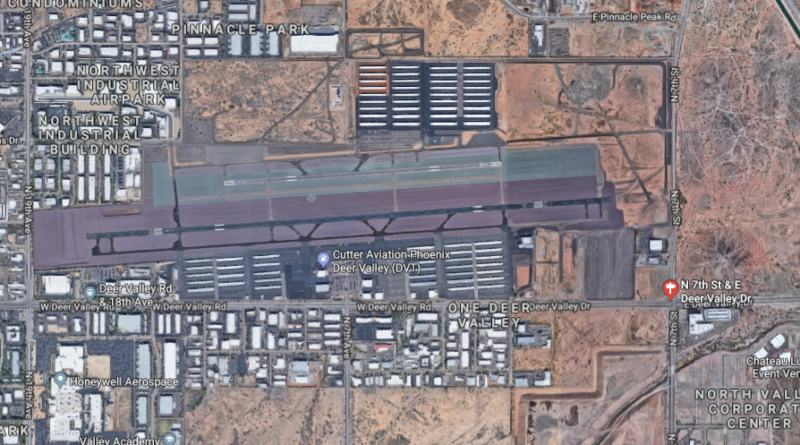 Deer Valley Airport is one of the nation’s busiest, with some 380,000 takeoffs and landings a year, according to the airport’s latest newsletter. Many of these operations involve private jets as well as flight training for pilots-to-be. The airport is home to more than 1,000 aircraft.